Gov. Chris Christie has not yet indicated whether he will sign or veto the legislation. Earlier this week, The Advocate reported on the status of a bill intended to make the often-difficult and cost-prohibitive process of updating identification documents easier for transgender individuals in New Jersey. On Thursday, the New Jersey senate passed A4097 (previously labeled S2786) by a vote of 21-11. That affirmative vote now sends the bill to Gov. Chris Christie's desk — putting the fate of thousands of transgender people's legal identification in the hands of the Republican governor. If Christie vetoes the bill, it's unlikely that the legislature could override that decision, since state law stipulates that 27 senate votes and 54 general assembly votes are needed to do so. As it A4097 passed through the legislature, it garnered 21 "aye" votes in the senate, and 43 votes in favor in the general assembly. As law currently stands, individuals born in New Jersey must prove that they have had some form of gender-confirming surgery before they can update their birth record. These surgeries generally cost tens of thousands of dollars, and often are not covered by health insurance, leaving many transgender individuals either unable or unwilling to undergo this method of treatment. Many trans individuals opt to medically transition solely through hormone replacement therapy. 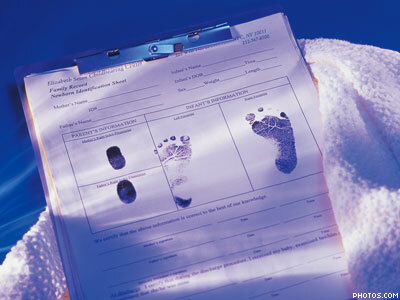 As New Jersey law stands currently, those individuals are not able to update their birth certificate. Most federal forms of identification can be updated without proof of surgery. Records with the Social Security Administration, U.S. State Department, and Department of Veterans Affairs can updated without any sort of surgery, instead requiring an affidavit from a medical provider that confirms an individual has received appropriate clinical treatment to transition. The discrepancy between the requirements to update various forms of identification can leave many transgender individuals in an unenviable position, where various forms of identification do not match up, leaving these individuals open to increased scrutiny, suspicion of fraud, and nonconsensually being outed as transgender. Gov. Christie's office will consider public comment on the issue, which can be submitted through the Governor's "Contact Us" tab on the state website.